The immediate reaction from the camp of US President Donald Trump to the news of Friday’s arrest of longtime associate and political trickster Roger Stone was to minimise the charges as “mere process” crimes. First, there is the possibility that special counsel Robert Mueller has, or is in the process of developing, more substantive charges against Stone. Stone is the closest associate of the president that Mueller has charged, and we can expect the special counsel to exert maximum leverage to secure Stone’s cooperation in his continuing probe. Mueller’s strategy may be to hold back on some charges and let Stone know what misery he can still avoid by coming clean. In general, the new indictment pairs Stone’s alleged activities in this country during the 2016 campaign with the conspiracy charges Mueller brought in July against a dozen Russian military intelligence officers and a Russian organisation now accused of hacking the Hillary Clinton campaign’s computer networks and coordinating the release of the hacked emails to influence the election in Trump’s favour. These allegations carry the potential for charging Stone with substantive crimes related to the Russian hacking conspiracy, either under 18 U.S.C. 371 [United States Code, Section 371] for attempting to influence the election or as accessory after the fact to the hacking under 18 U.S.C. 3. It is also possible that future searches of Stone’s New York City residence will turn up other inculpatory emails, such as the one in which Stone tells Credico to “do a ‘Frank Pentangeli’” — i.e., lie and dissemble under oath like the mob underling in The Godfather Part II — when Credico was testifying to Congress about what Stone may have done. All this leads to the more important refutation of the “mere process” canard that Giuliani and others assert. 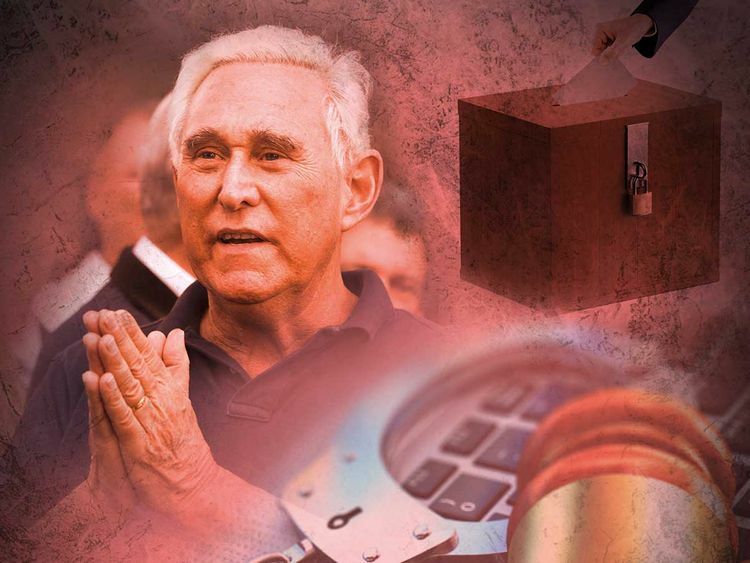 The most serious charge in the indictment is obstruction of justice, an accusation that usually results in the physical arrest of the defendant, contrary to the suggestions of Stone’s defenders that his arrest was heavy-handed. The indictment alleges that Stone obstructed investigations into Russian interference in the 2016 election by the (Republican-controlled) House Permanent Select Committee on Intelligence. What Stone allegedly has done is throw sand in the gears of efforts by Congress to learn the extent of Russian interference in a US election. The possibility that a foreign government conspired with a US presidential campaign to sway an American election has been staring us in the face for two years. Congress has no greater public responsibility than fully investigating this nightmarish prospect and taking all steps to prevent its recurrence. Harry Litman teaches constitutional law at the University of California at San Diego and practices law at the firm Constantine Cannon. He was US attorney for the Western District of Pennsylvania from 1998 to 2001 and deputy assistant attorney general from 1993 to 1998.